During the show Andrew and Kevin discuss the advantages of the seller providing building and pest inspection reports to buyers preferably at the time of listing. Why doing this is a win/win for both the seller and the buyer. They refer to the seller disclosure process in the ACT and how good it would be if this was made mandatory throughout Australia. Kevin: More on building inspections, this time with a professional building inspector. Andrew Mackie-Smith has written a book called Building Success, largely on the back of the fact that he’s seen a lot of people go wrong with their building inspections. It’s a pleasure to have him in the show. Good morning, Andrew. Thanks for giving us your time today. Kevin: Over the years that I’ve been doing this show – 10 or 11 years – it’s probably one of the areas I get most questions about – not so much about real estate agents or how to sell a house, but what goes wrong with building inspections, what should a buyer be looking for in a building? Hence, I guess, the reason why you’ve written this book, Building Success. What’s behind that, Andrew? Is this a compilation of your experiences over the years? Andrew: Exactly, Kevin. I’ve been an inspector for over 30 years, and in that time, I’ve just developed a lot of insights. Just seeing people making the same mistakes and asking the same questions prompted me to write a book to just put that information out there and make it easier for people. 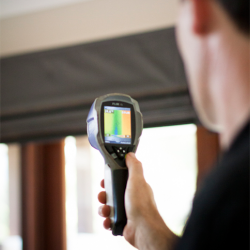 Kevin: The book is called Building Success: Why Property Investors Need Building Inspections. And that’s a fairly obvious thing, but I’m still amazed at how many people either don’t get one or don’t take any notice of it and find the problems emerging years down the track. Andrew: I’m flabbergasted as to why someone could buy a property, invest so much money, and not bother with an inspection. And then a lot of people will get an inspection and not read it or heed the advice. Yes, I’m a big advocate for having an inspection, and I’d like to see it become a national requirement. 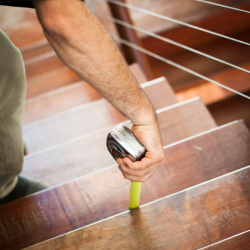 Kevin: There is a debate at present about building inspections – a lot of grief for some buyers down south, particularly in the Sydney and Melbourne markets where they need to get a building inspection done before they go to an auction. You’d be crazy to go and bid at an auction if you didn’t have a building inspection done. But then on top of that, the layer of agents beating down prices, lowballing to get buyers in, they then go and get a building inspection done and then find out that the bidding goes way past them and they’ve actually wasted their investment in getting that building inspection done. 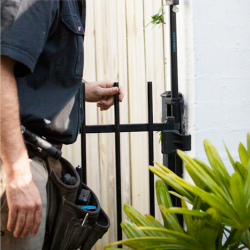 In the ACT, building inspections are part of the listing process. It’s supplied by the seller. That surely would be a good move eventually for that to be around Australia. Andrew: Yes. 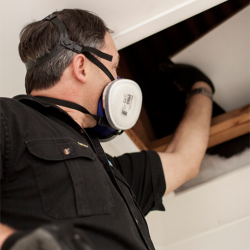 I’d love to see that happen – that ACT legislation of the seller disclosure, where the seller provides the building, pest report, energy report, asbestos report, and compliance report. It costs the seller about $1000. They pay for it up front. They’re reimbursed at settlement by the eventual purchaser. I think it’s a much fairer system. I’d love to see it come in. Kevin: It’s a system that I think government should be pushing, especially if they’re out for consumer protection because it does actually protect the buyer. I guess in a sense, too, it also helps the seller make sure they don’t actually come up with a contract that’s going to crash eventually. It’s a win-win all around in my view. Andrew: I couldn’t agree more. 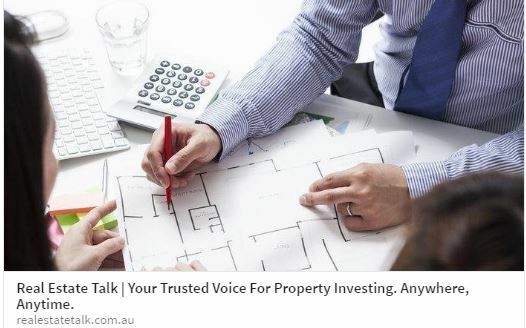 Sellers do have that option at the moment now – they call it a pre-sale inspection – and a lot of sellers are getting building and pest reports done and providing them to potential purchasers, especially as part of an auction campaign. I’m seeing that more. Kevin: Another good reason why a seller would want to do that is to make sure that they do understand if there are any problems that are going to emerge if they do get a contract, that gives them the chance to sort them out or adjust their price accordingly. Andrew: Exactly. 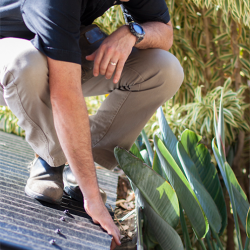 Many times, I’ve done inspections for sellers and uncovered issues they were unaware of, and it does give them the opportunity if there’s time, they can get some tradesmen in, repair some termite damage, treat it, and then they can disclose that to buyers and get a better price and a quicker sale. Kevin: Are there already agents working in that area, in other words, getting sellers to get an inspection done? Are you noticing that? Andrew: It’s been a growing trend. There are agents I’ve been working with for 12 years or more who have been doing that with every property. I would suggest on an older property or an auction property. it’s a very good idea. Kevin: Andrew, how would you feel if every seller actually had a building inspection done at the time of listing, which is probably going to do you out of business because there’s a possibility that you may end up doing two or three inspections on one property, or a number of building inspectors might? Andrew: That’s a good question. I did an inspection only yesterday and there had been about four inspections on that property. It was a popular auction property. However, Kevin, there are many properties that don’t get inspected. If you consider all the apartments, units, townhouses, and the like across, say, Queensland, a lot of those just simply aren’t inspected. And so all those, under that ACT legislation, would all need an inspection. So there would be a greater number of inspections. Kevin: When you do that report, who owns it? In other words, can the person who pays for the report then give it to whoever they would choose? Hypothetically, could a real estate agent pay for you to do an inspection and then give it to every buyer? Kevin: Why would they do that? Is it something to do with litigation or potential litigation? Andrew: I think they’re trying to limit their liability, and also it’s a requirement of their insurer that third parties can’t rely on the report. So if you’re looking at a report prepared by a seller and it does have that disclaimer, be aware that you still may have a claim but you’re going to have to go through a few more legal hurdles and hoops to be able to prove your right to rely on that report. My advice is to always have the report in your name if you’re purchasing a property. And if you think you can’t afford the $500, $1000, whatever it is, for the building and pest report, you certainly won’t be able to afford the $50,000 or $100,000 repair bill that you get later on. So you really should get a report. Even though the seller is providing you with the report, I would suggest read it, use it as a heads up, talk to the inspector if you’re able to, but I would still advise you to get your own report in your name. Kevin: Okay. So you’ve done a report. Your insurance company obviously allows you to send that out to multiple players. Andrew: They will. You can do it, it is legal, it’s allowed to send it out, but those disclaimers muddy the waters. I would just suggest if you’re going to get a report provided by a seller, do ensure that you can have it transferred to your name. Kevin: Thanks, Andrew. We’ll have to leave it there. That book is called Building Success – Andrew Mackie-Smith. Look for it in all good bookstores. Thanks for your time, Andrew.